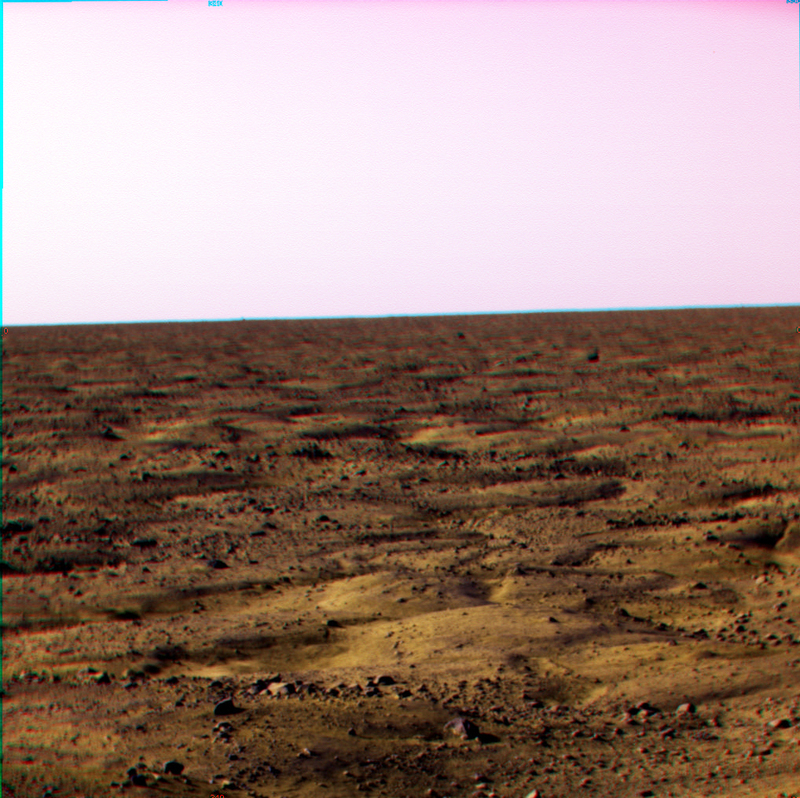 Edit: Here is the official first NASA released false-color image from Phoenix. It compares pretty well with the one that Rick assembled last night! 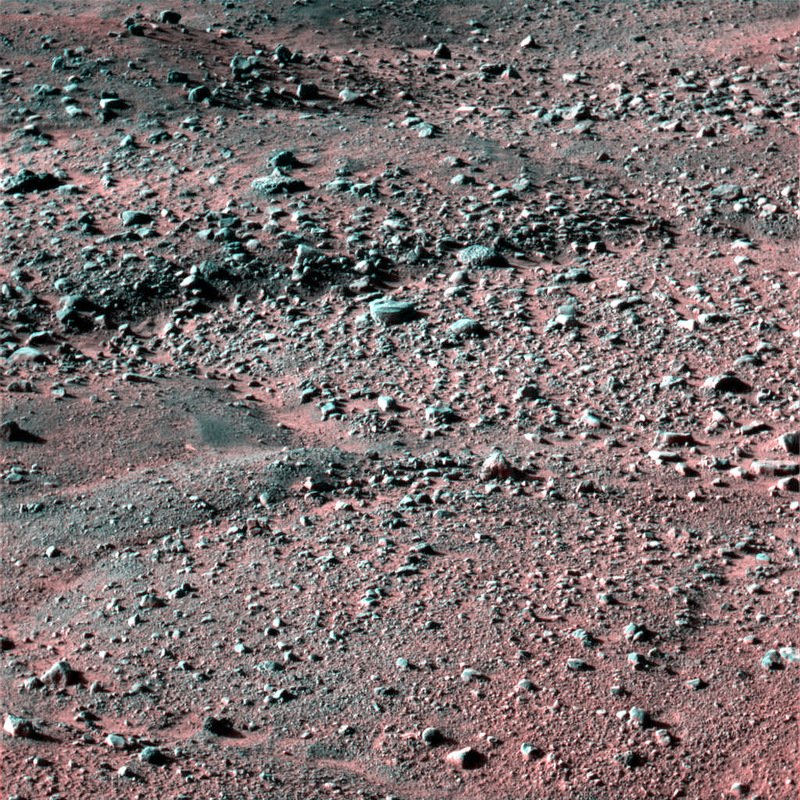 This is a first attempt at a color composite of the Phoenix landing site. It was assembled by Rick Kline, Data Manager for the Spacecraft Imaging Facility here at Cornell and he kindly said that I could post it to the blog! 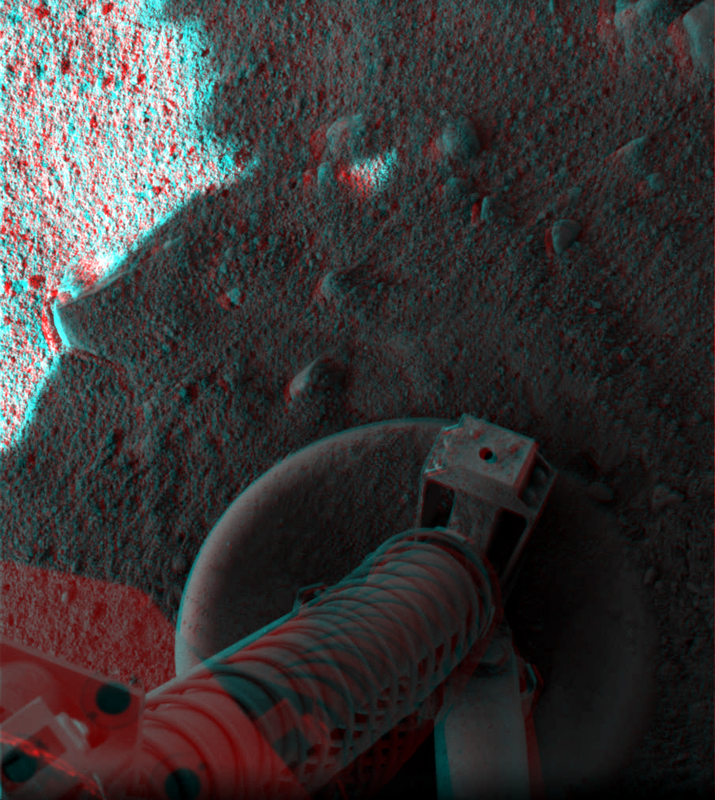 He also put together the following 3D image of the Phoenix lander footpad. Stay tuned for more on Phoenix as more data comes down! This entry was posted on May 26, 2008 at 2:03 pm and is filed under Phoenix, Pictures. You can subscribe via RSS 2.0 feed to this post's comments. Both comments and pings are currently closed. I literally know nothing about geology, but these polar landscape pics that have come back so far are very intriguing. For instance, is there a plausible explanation for the geometric pattern of these polygons that extend to the horizon?